Get inside and step up to the top from the ladders in the middle and then zip from the top platform to the bottom. There are inflatable mattress at the end to keep you save. 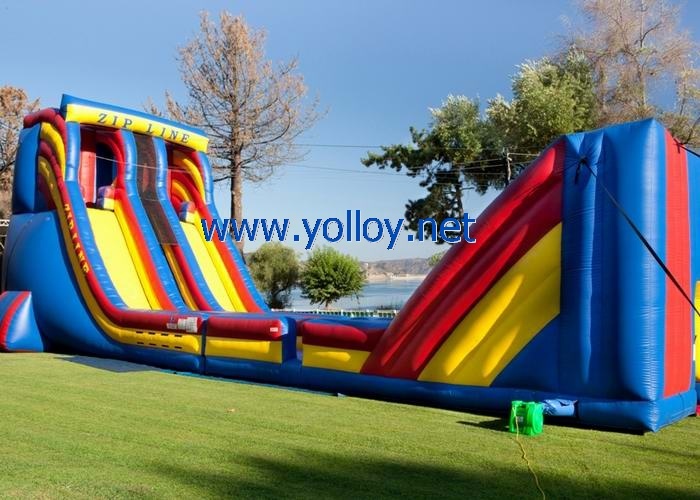 The inflatable zip line is with dual lines, it is good for friends to experience the thrill at the same time. If the player do not want to zip down, they can also slide from the top to the bottom. It is really also a good fun way.